The five-mile trail begins at the riding stables next to the entrance to the Laurel County Fairgrounds, weaves in and out of the forest near the Feltner 4-H Camp, skims along a ridge next to Crooked Creek Golf Community then circles back to a new parking lot in front of the stables. Broken Spoke, which has been in the planning stages for more than two years, resulted from a partnership between Levi Jackson employees, the Friends of Levi Support Group, a dedicated group of volunteers and City of London Tourism. “I think it’s a brilliant idea to develop a trail system in a beautiful area of the park that no one is using,” said Levi Alley, a London banker who helped restart the Friends of Levi, along with park superintendent Ben Sizemore. 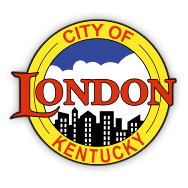 Bringing more tourists to London is why the tourism commission decided to give $25,000 to Levi Jackson to ramp up construction of the mountain bike trail. The partnership between the commission and the park spurred the development of Treetop Adventure, which has proven itself as a major tourist draw. Local cyclist Keith Cottongim has been hacking away on his own for a couple of years to expand existing trails in the park so he can ride his mountain bike.